The jump in quality from Mass Effect to Mass Effect 2 is something remarkable. The original Mass Effect, while ambitious and largely satisfying, never played right. It looked like a shooter, but the mechanics underneath were still very much RPG. That was compounded by how poorly a lot of the encounters were designed. The story and world were all great, but the game they were in was largely a tedious bore. 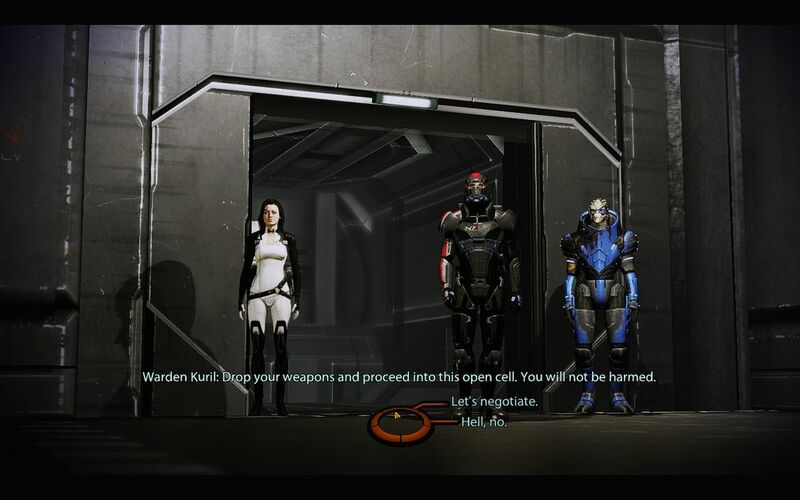 Mass Effect 2 fixes pretty much all the problems with the first game. ME1 was an RPG dressed like a shooter, ME2 is a shooter with a few RPG trappings. It also builds rather terrifically off the world building of the first game, thought its main plot is easily the simplest of the Bioware game’s I’ve played so far. That is forgivable thanks to the games unique and compelling structure. Mass Effect 2 is the Dirty Dozen in space. This time Shepard is tasked with assembling a team of talented mercenaries, criminals and oddballs to complete a dangerous mission. It is just a terrific structure to build a game around and Mass Effect 2 takes full advantage of it. I am not that much of a shooter fan. I just tend not to enjoy them. Mass Effect 2 didn’t do a whole lot to change my mind about the genre, but it is still clear how tightly designed it is. Some of it gets repetitive, always using the same skills to deal with certain enemies, but for the most part is tense and inventive. While the shooting is just better, the biggest improvement comes from how missions work. The story missions in ME1 were fine, but there were only a handful of them. There are something more like 25 in ME2, though not all of them are required. Each one is quite a bit shorter, though. That shortness means that the missions don’t give the same sense of place that those did, where each gave the player a city or planet to explore. However, the events in them are more varied. In one you are breaking a character out of a prison space station, in the next you fight through a plague infested slum and after that you end up fighting a war with three different mercenary groups. Sticking with the game’s overall movie reminiscent theme, they all stick pretty solidly to genre movie subjects. It works really well. The story is very simple. Shepard is apparently killed by an attack from an unknown ship, but she is revived by Cerberus, the group responsible for some reprehensible crap you found out if you wasted your time with the sidequests from the first game. They want her to help them deal with an alien race called the Collectors, who have been kidnapping entire human colonies. First she must prove that the Collectors are behind these disappearances, and then she has to follow them through the Omega 4 relay, a special relay that no ship has ever returned from, and stop them. This is not really spoiler stuff; it is all outlined within the first couple of hours of the game. Along the way she has to build a team capable of taking out the Collectors. That is where the game gets good. Each of Shepard’s 11 possible allies, making for the dozen when you add in here, have two missions associated with them. First is the recruitment mission, where Shepard has to do whatever possible to convince her target to join up. Later there is a second quest that earns the character’s loyalty. The player doesn’t have to recruit everybody and doesn’t have to any of the loyalty missions, but doing so changes the outcome of the final mission. That means more than two thirds of the game is devoted to missions specific to individual members of Shepard’s crew. It really lets the player get to know the crew. Collectively, the characters who join up in Mass Effect 2 are some of the best I’ve encountered in a game. Sure, not all of them are likely to strike the player as interesting, but they cover such a wide variety of personalities that it is hard to imagine not finding at least a couple to the players liking. The two Cerberus operatives that join up to start are as close to vanilla as they get. Jacob can be bland, but Miranda has a very intriguing backstory and complicated loyalties. Tali and Garrus, two of the best characters from the first the game, return in this one. 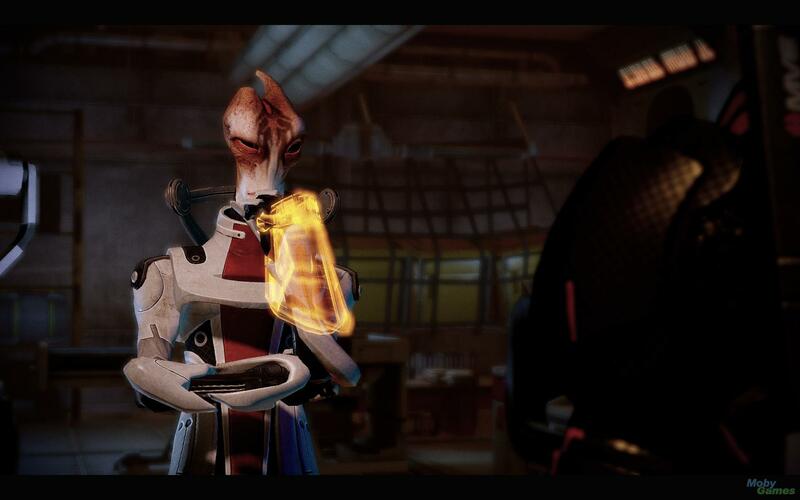 I loved Mordin, the scientist whose expertise and dubious history belies his oddly moral nature. He works in a field that requires him to make terrible choices, but he tries to minimize harm in making them. Also, he sings. The rest have their moments, except Jack, I really didn’t have a use for her. You build this team as you get closer to the Collectors, and whether or not you recruit who you need and whether or not you build their loyalty changes how that final suicide mission plays out. There is no penalty for just doing all the possible missions, as long as they are done before the one that triggers the end game, so building that team is largely up to how much work the player wants to put into it. It all comes together for that supposed suicide mission, in which you must choose characters for various roles. Who to put where is largely obvious, but it can still be tricky. It is also a perfect culmination of the rest of the game. It has all of the player’s choices coming together for the big ending. 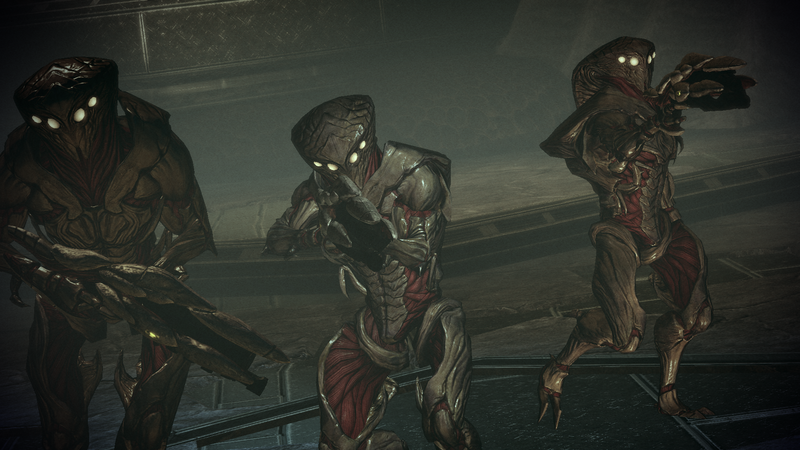 Unlike many games that fall apart in the less tested back act, Mass Effect 2 finishes strong. As far as gameplay goes, Mass Effect 2 seems like a pretty big shift from Bioware’s usual game. It follows an evolution from Knights of the Old Republic to Mass Effect to this, but it still seems odd to play a Bioware game that is not primarily an RPG. On the story telling side of things, it is firmly in Bioware’s style, though the loyalty thing is new. It is also really effective. Mass Effect was an interesting rough draft; Mass Effect 2 is a masterpiece built off of that structure. Despite still having some technical flaws (really, I would have spent more time with the crew if the game didn’t have 30 second loading times to move between decks) Mass Effect 2 is one of the best games I’ve played on my PS3. I really love this game, it’s the one I’ve played the most of the series. You summed it up a lot like I would — I feel like a lot of players dislike the fact that the overall story is kind of weak, but I really enjoy the character missions and felt very attached to everyone by the end. The gameplay is also such an improvement of ME1’s clunky shooter combat.